As larger observatories are built and data storage gets cheaper, large ensembles of astronomical data (images, spectra and catalogues) are being assembled into publicly-accessible archives. Some of them are beind networked into the world-wide Virtual Observatory (www.ivoa.net). Together with members of the School of Computer Science at the University of Birmingham, and collaborators elsewhere in the UK, and in the Netherlands, Italy, USA and India, we have been developing a number of innovative algorithms for data analysis, involving methods of machine learning, for astronomical data mining. The emphasis has been on developing new methods rather than adapting available ones. 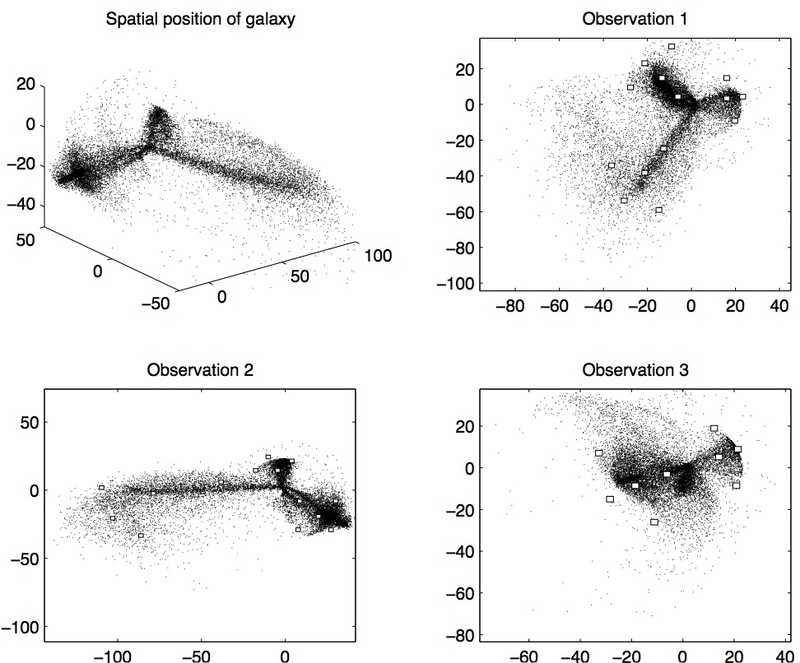 Some of our work has involved the visualization and clustering analyses of multi-dimensional datasets, clustering and outlier finding, Bayesian modelling and latent variable analysis of time series from radio and X-ray observations, independent Component analysis of galaxy spectra and topographic mapping of Astronomical light curves, in finding transitting extrasolar planets. Aspects of this work have direct applications in the science that will be attempted by future very large surveys involving the next generation of optical and radio observatories. Further details of projects and publications can be found here.